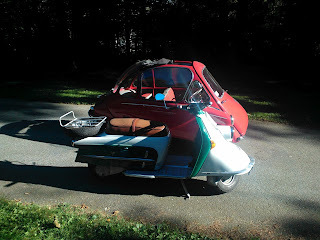 I took a few photos today for an article I'm writing for the Heinkel-Trojan Club's Cruiser News. The scooter is my 1962 Heinkel 103-A2. The scooter isn't that much shorter than the car!